I heedlessly forgot about the annual MotoGP race at Laguna Seca this year until after I booked my trip to Seattle… :/ MotoGP almost outweighs all motorsports in my book (minus F1) but there was something pulling me to go to Seattle that weekend. Formula D was definitely happening but I felt as if that wasn’t the only reason why I was there. Then it hit me.. BRUCE LEE. 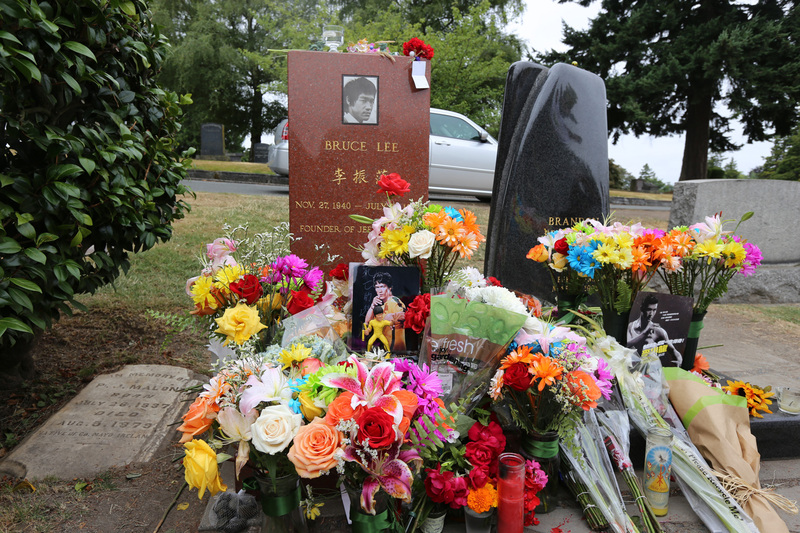 I always wanted to visit the Bruce Lee grave site being he was someone I looked up to growing up. He was thee greatest martial artist to have ever live and coincidentally the day of the FD event was the 40 Years after his death anniversary. 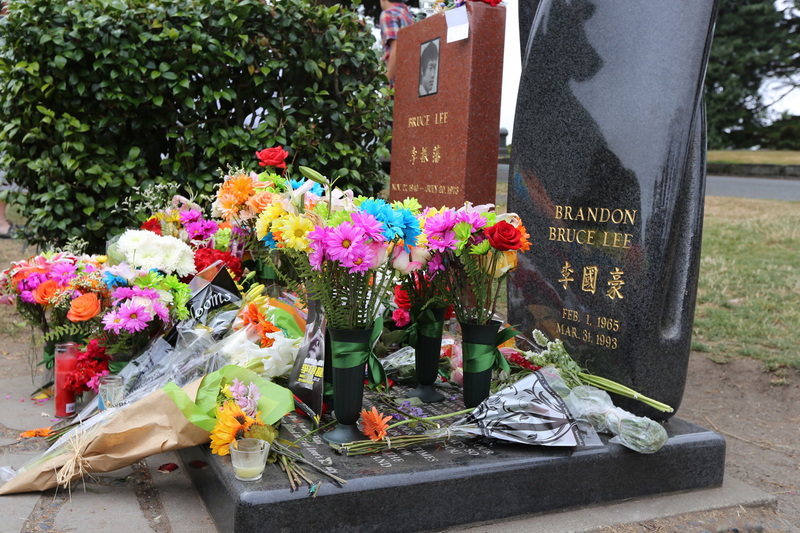 So the next day I made sure we took the trip to see Bruce and pay our respect to the man. Whatup Brandon. And if you dont know much about Bruce, check out the video below. Kinda a Bruce Lee for Dummy’s best of. And here’s an hour long movie if you want to spend some time learning about Bruce. As a child during the 70s and a Teen of the 80s, Bruce Lee was one of my favorites. He died when I was just 3 years old, but his movies, philosophy and discipline lived on. He was a man way ahead of his time. Every kid back then did their best to simulate his moves. I still enjoy watching his movies, and collected Youtube material…Nice blog!